Vinya Red is produced from the Castelão and Aragonês grape varieties. With vibrant fruity aromas making it ideal to share with family and friends in joyful and relaxed moments. José Maria da Fonseca is the oldest and one of the most prestigious wineries in Portugal, producing wines and Setúbal Moscatel. 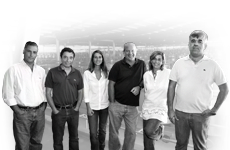 The Soares Franco family owns José Maria da Fonseca and has been involved in the wine business for almost 200 years. With over 650 hectares of land under vine in our main wine regions: Península de Setúbal, Alentejo and Douro, José Maria Fonseca also boasts Portugal’s largest winery, with capacity to produce 6.5 million litres of wine in a totally computerised operation. Soft and balanced, with present and well integrated tannins. Good balance between fruit /acidity. Serve at a temperature of 12ºC and consume a 14ºC with red or white meat.